Then install the downloaded gem as install local (local install required to load --pre gem) and you are good to go a real ide to develop jruby_art who needs a processing mode? 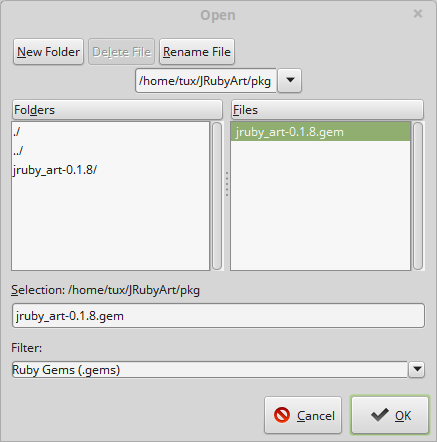 To install templates navigate to .netbeans/config/Templates (create a Templates folder if it does not exist) create a sub folder 'Ruby' put the outer .nbattrs file here, create a folder jruby_art and place the other .nbattrs file there along with both ruby sketch files. 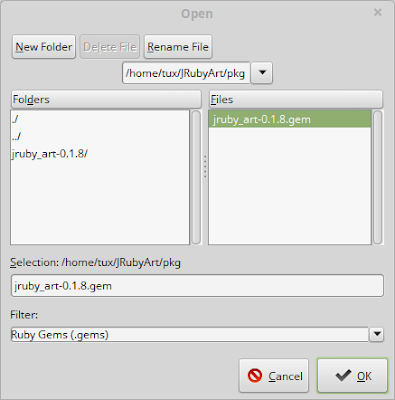 Templates should now show up in a Ruby sub-folder.